Preparation is crucial for a long-lasting paint job. Our prep paint services include sanding and washing surfaces, filling holes and cracks, sealing stains, and more! We only use high-quality paints for your home. Our attention to detail and passion for our craft will deliver the best painting service at the best price! Drawing from years of experience, our number-one focus is helping our customers achieve their aesthetic goals, anyway we can! Give us a call today! 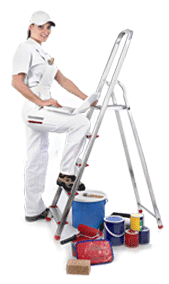 Highland Painting & Construction Company has had a long history of satisfying customers with reliable, high-quality painting services at an affordable rate. It's against our philosophy to cut corners; that's why we take you through the entire painting process, include a comprehensive paint preparation service that includes removing bad wood and old paint, power-washing, dry-wall replacement-almost anything needed to ensure a long-lasting quality paint job. Our customers have repeatedly used the word "impeccable" to describe our work. Give us a call 757-570-2120 for a free, no-obligation estimate! Family owned local painting and light construction contractor. Highland Painting and Construction is a great way to maintain your property and protect your investment!